Barclays is a multinational financial services and banking company and one of the most recognised banking brands in the world. Barclays contracted me for six months to work on a project for its Retail Online Banking division - essentially the logged in ecosystem for personal bankers. I worked with the product and design teams to launch a new product, Smart Spend – a rewards and cashback product available only to online banking customers. Launching initially in partnership with Expedia and the Energy Helpline, I worked on all aspects of the copy from the name of the product to product descriptions and user journeys that made it clear what customers could get. 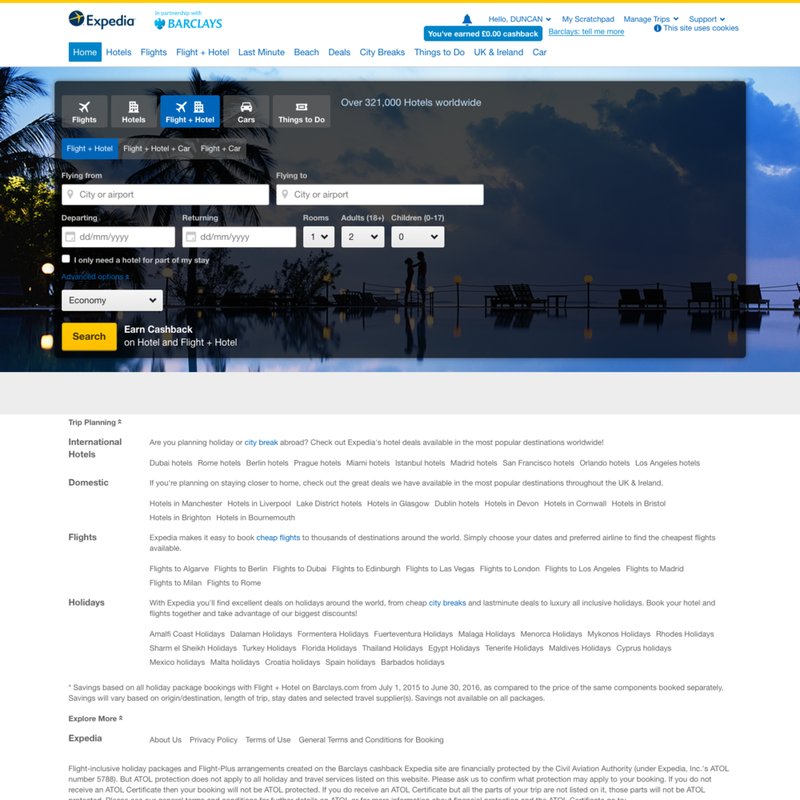 I also liaised closely with stakeholders at Expedia and the Energy Helpline to ensure the Barclays-branded hosted pages on their own websites met their and Barclays' strict branding and UX standards. To see the website in action you'll need to be a Barclays online banking customer, but I have included some screenshots for reference (but just be aware that these designs have been updated and new services added since I worked on the product). I was then offered a longer term role with Barclays but chose to remain freelance and work ad hoc on a series of other online products.